Dil Ki Baatein Dil Hi Jaane is an Upcoming serial on Sony Entertainment Television. It is produced by Guruodev Bhalla and Dhaval Gada, The makers of Udaan. The Show will be Produced under the supervision of Mahesh Bhatt. As per our sources, the show is adapted from Popular movie Daddy starrer Anupam Kher and Pooja Bhatt. Latest News : Dil Ki Baatein Dil Hi Jaane is going to off air from 28th August, 2015. Jaane Kya Hoga Aage will replace Dil Ki Baatein Dil Hi Jaane Serial. The story revolves around a man who depends on his wife for all the love and affection he gets. One day, his wife dies due to Cancer. Now the story moves on. He will try his best to become an affectionate father to his daughter. And soon history will repeat itself as Nisha too would fall in love with her driver’s son, similar to their parents love story. And playing the driver will be young sensation Meghan. Young and Beautiful Actress Mahima Makwana will be seen playing the role as Disha, The daughter of Ram Kapoor. Mahima was recently seen in Sapne Suhane Ladakpan Ke on Zee TV. Pankaj Dheer has been roped in to play role as Father in Law of Ram Kapoor. He will be negative in nature. He will have his own rules of life. Pankaj Dheer is best known for his role as Karna in old Mahabharat and Shivdutt in Chandrakanta. He has done work in Movies like Jodha Akbar, Sadak and Chennai Express. Pankaj was last seen in Devo Ke Dev….Mahadev as Himavat. Actor Shailesh Gulbani will be seen playing the role as Husband of Gurdeep’s younger sister. He will be seen as Ghar Jamaai. His role will be negative in nature. He was last seen in Zee TV’s Aur Pyaar Ho Gaya with his real-life wife Ashita Gulabani. Ratna Shinde has been roped in DKBDHJ to play the role as Son of Ram Kapoor. He will be seen essaying the six years old Kid. Recently he was seen in Zee’s Maharakashak Aaryan playing the younger version of Aaryan. He was also seen in Balika Vadhu playing a cameo role. Young lad Shrey Pareek has been selected to play the role of lead guy opposite Disha. Shrey who has been signed on to play Ashish Kaul’s son, and the male lead. The guy would be well-read, a happy-go-lucky guy. His role is almost similar in to that of Shah Rukh Khan in Kal Ho Na Ho. He will be the one who will help Disha come out of the trauma of losing her mother. 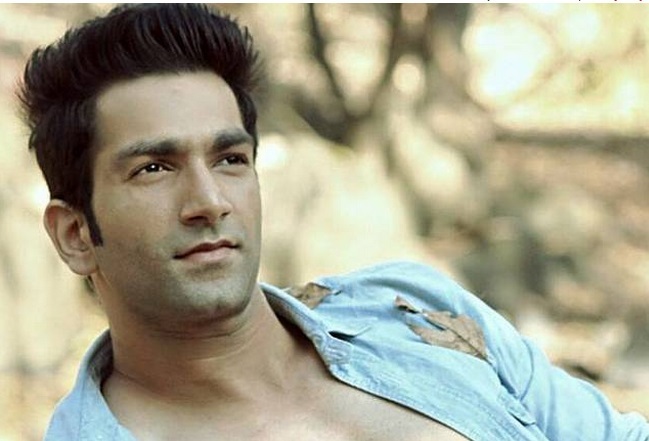 Shrey was last seen in the role of Nihaal in Channel V’s Paanch. Himanshi Choudhary is playing the role of Anandita’s Younger Sister. She is a playing the role of a money hungry person. She is married to the character played by Shailesh Gulbani. Aashish Kaul and Roma Bali will be the parents of Young Male Lead guy, role played by Shrey Pareek. Roma will play the role of a middle-class housewife who would have a huge greed for money. She would die to wear all kinds of jewellery and will curse her ill fate for being married to a poor driver. The woman will have shades of grey in her character. Roma was last seen in Star Plus’ Iss Pyaar Ko Kya Naam Doon – Ek Baar Phir as Niranjan’s first wife. Vishal Nayak will be seen playing the best buddy of Ram, and will share a very close relationship with him. Vishal’s character will be of a music director, a man with a positive outlook to life. He will be Ram’s confidante and support system when in trouble. Vishal was last seen essaying the character of Farhan in Zee TV’s Qubool Hai. Kiran Jhanjani will be seen in place of Vishal Nayak. The role played by Vishal will be replaced by Kiran. The reason for replacement seems to be that Vishal was looking quite young before Ram, and they needed a character who would look a bit more of Ram’s age. He has been part of movies like My Friend Ganesha, Life Express, Benny aur Babloo to name a few will play Ram Kapoor’s best friend. The promo have been revealed by the channel. And the promo is looking promising. DKBDHJ will premire on Feburary 23, 2015. It will replaced the ongoing serial Hum Hain Naa. Hum Hai Na last episode will be broadcast on Feburary 19, 2015.